اخيرا بيانيه اى با امضاى ‘ رى ستارت’ منتشر شده است كه اسامى تعدادي از فعالين سياسي و از جمله اسم من را جعل كرده و به عنوان حاميان يك بيانيه مضحك اعلام كرده اند. اين عمل از هر نوع پرنسيب سياسى بدور بوده و تنها ميتواند كار تعدادى شارلاتان و بى هويت است كه به شعور مردم توهين كرده و يخواهند از بابت اعتبار ديگران خود را مطرح كنند باشد. بدينوسيله اعلام ميدارم كه اسم من به عنوان امضاكننده جعل شده و اين حركت را محكوم ميكنند. شارلاتانهايي مانند اينها بايد در همه جا افشا شده و مجبور به جوابگويي در مقابل اين حركت وقيحانه شوند. Interview by Ballast magazine with Shiva Mahbobi, Spokesperson for the Campaign to Free Political Prisoners in Iran about the recent protests in Iran. English translation is at the end of this post. 1) Do protesters have a chance to avoid repression? No. Any signs of dissent and any demonstrations, even mildly in opposition to the Islamic regime, will face a brutal crackdown, arresting demonstrators, imprisonment, torture and even execution. 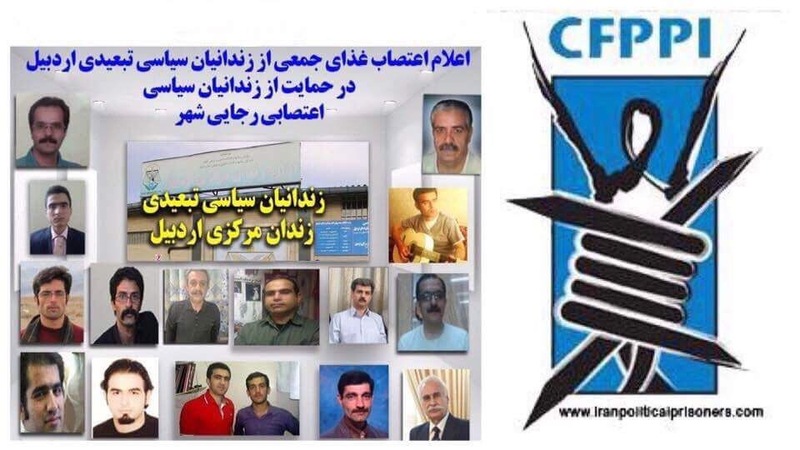 Since the Islamic regime in Iran hijacked the revolution of 1979 any form of opposition has been faced with severe repression such as dismissal from work or university, harassment, kidnapping, imprisonment, torture and execution. Regime has been trying to instil fear and terror in the society in order to stay in power. However, the regime’s power and ability to suppress opposition has changed since the regime seized power in 1979 . During 1980, the regime was able to impose its power and illegitimate authority only by mass arrests, torture and executions. 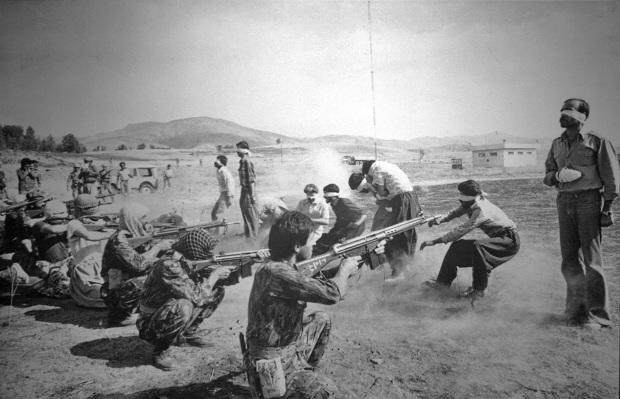 At the time, people in Iran had no opportunities or means to inform people around the world and the international communities about the massacres and oppression in Iran and therefore it was easier for the regime to impose and enforce its ruthless suppressive laws and policies. During the last 39 years, as the protests continued they have slowly gained an unstoppable momentum, have grown stronger and more widespread. People have became more able, through the social media, to organise different campaigns and to let the world know what has been happening in Iran. The ability to broadcast their demonstration and in a way to send their message to an international audience through the social media in itself have created an International solidarity with people in Iran which has exerted a huge pressure and created a complex problem for the Islamic regime. As the time went, on the people in Iran got bolder and further challenged the regime and as a result, the regime got weaker and less able to impose a terror and fear on the people and the society as whole. The regime will continue to suppress its opponents and this oppression will continue until the Islamic regime is in power in Iran. However, the important point to consider is that despite all the oppression people have continued to defy the regime and make their repressive laws and act less effective. The only way to avoid repression is to defy the regime and eventually overthrow them. 3) What are the differences, in your opinion, with the movement of 2009? There are three major differences between the protests now with those in 2009. First, these protests have had important slogans and demands and have focused merely on the leaders, security guards and as a whole to overthrow of the Islamic regime and have targeted the entire regime. As we have seen, the protesters have targeted any symbols that has any relationship to the regime such as the government buildings, some religious establishment such as security and revolutionary guard buildings and Hozeh-Elmiye (a religious school for clergies) in the city of Ghom, to name a few. Second, the protests are extremely widespread and they are held not just in the large cities but also in small cities and even some villages. According to the news we have received from Iran, the demonstrations were held in around 92 cities which is unprecedented in Iran. Third, these protests have been on-going since the end of December 2017, and although more than 3000 protesters have been arrested, people have not given up and have been continuously organising more protests in more cities. 4) Which social classes participate to the demonstrations? The new waive of protests, which has been going on since December 2017, was against poverty, inequality, inflation, dictatorship and the existence of the Islamic regime as a whole. Therefore the participants are mainly working class, unemployed, students and other underprivileged in Iran. While the authorities in Iran have been accumulating wealth and stealing billions of dollars from people in the last 39 years, majority of the people in Iran have been living below the poverty line and have no income to provide the very basic necessity for their families. Iran has the highest addiction rate in the world; the unemployment rate according to the official sources is more than 12 percent which is way below the actual figures, and the number of children living on the street and homelessness have been rising. Those who are working in factories are been paid irregularly. After the nuclear agreement and despite the removal of the sanction, the inflation, unemployment and the level of poverty have even gone up. 5) What is the part of the rejection of the imperialist war in Syria in discontent? Apart from wishing for a major change and collapse of the Islamic regime through revolution, people in Iran are also protesting about billions of dollars being spent by the Islamic regime on Islamic groups in the region including the war in Syria while the poverty, homelessness and unemployment is on the rise in Iran and people cannot even afford the basic food and shelter. They say stop the war and spend the money on people in Iran. People are also saying that they do not wish to be involved in any war which brings death and destruction to another nation. 6) Are the protesters aware of US armed threats against Iran? Does this moderate the protest? Absolutely not. People in Iran know that US, EU and other governments are seeking to fulfil their own agendas and have a clear track records of being on the side of their own interest and do not care at all for what happens to people in other country. This is the reason people in Iran care less about what comes from the White House or Brussels and are more in loved with their aim or revolution to overthrow the Islamic regime. Also, people in Iran do not need any super-power to come and rescue them. They want to overthrow the Islamic regime and of course they do not want to face a situation similar to Iraq or Afghanistan. There are genuine concerns about what might happen after they have overthrown the regime and what western governments would do to create an alternative they prefer to install in Iran. However, at the moment people are more concentrated on ousting the Islamic regime. What Donald Trump, the US and EU are saying does not concern people at this point. 7) Is there an additional discontent among the peripheral populations (Kurds, Sunnis …)? The movement for overthrowing the Islamic regime is the common denominator among different sections of the Iranian society. At the moment and specially during the recent protests, it is evident that all the people have come together to concentrate on their opposition to and overthrowing the Islamic regime. 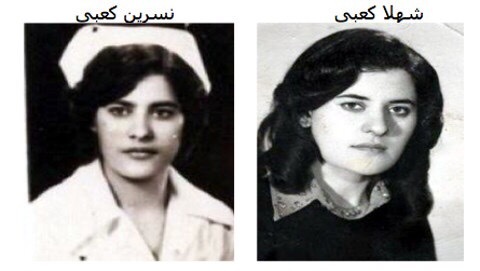 People from different parts of Iran have been surpassed by the regime and therefore there is a unity amongst different population to get ride of the regime. 1) Mohammad Ali Jafari (guardian of the revolution) announced Wednesday “the end of the sedition” is this correct? For how long? The authorities have been claiming that these protests are just a temporary ‘unrest ’ and has been provoked by the ‘foreign powers’ but they clearly know that this is not true. Regime has been panicking about the scale of these protests across Iran. The regime fears these protests because they are unpredictable and uncontrollable meaning they can start anywhere and anytime. The regime is minimising the effect of these protests in order to conceal their own panic of losing the power. 3) What is the sociology of protesters ? Is it the young people and women who suffer the most from the mullahs’ policies ? People from different section of the society ( majority working class) are participating in these protests. Majority of the protesters are young women and men whom have been suffering the most. Millions of young people are unemployed and are struggling with poverty and there is no prospects of having a career or job for them. Millions of families are suffering from poverty and unemployment. As for women, we need to remember that women and their rights have been targeted and attacked by the Islamic regime since 1979. The first attack on people’s rights started shortly after the revolution by attacking women’s rights. Women have always been subjected to repression and they have been stripped from their basic rights. The Iranian women are a decisive part of the demonstrations in Iran. 53 political prisoners, who are all rights activists, were beaten up and transferred to the high-security Ward 10. These prisoners are deprived of clean drinking water, fresh air and their medication. They are on hunger strike since 30 July. فاطمه صادقی، دختر صادق خلخالي كه مشهور بود به ‘ قصاب كردستان ‘ گويا براي اولين بار در مورد پدرش صحبت ميكند. صحبتهاي فاطمه صادقي براي من به عنوان كسي كه در زمان خلخالي و اعدامهاي كردستان يك بچه بودم يادآور دردناكترين خاطرات بچگيم است. پدر ايشان خشونت را وارد دنياي كودكانه من و هزاران كودك ديگر كرد و صدها كودك را از داشتن پدر محروم كرد. من پدر ايشان را كه يك جلاد بود نه ميبخشم و نه جناياتش را فراموش ميكنم. به نظر ميايد من و خيلي از بچه هاي دوران من خاطرات متفاوتي نسبت به پدر جنايتكار ايشان داريم. فاطمه صادقي در بخشي از صحبتهايش ميگويد ” … من خیلی از وقایعی را که در جریان انقلاب اتفاق افتاده چون بچه بودم از نزدیک تجربه نکردم. من بچه بودم و حالا باید بروم و ببینم در کردستان چه اتفاقی افتاده یا ماجرای هویدا و اعدام‌ها چه بوده. وقتی نمی‌دانم، اصلاً صلاحیت ابراز نظر درباره آن قضایا را ندارم. وقتی که من سکوت می‌کنم یا می‌گویم نمی‌دانم، آدم‌ها فکر می‌کنند که می‌خواهم لج‌بازی کنم. اما واقعیت این است که من خیلی علاقه‌ای نداشتم که درباره وقایع کردستان بخوانم با اینکه می‌دانم آن مقطع هم خیلی مهم است. ممکن است یک روز این کار را بکنم و ببینم اتفاقات کردستان چه بوده و نقش پدر من چه بوده.” . ايشان ميگويد بچه بود و از نزديك وقايع كردستان را تجربه نكرده و علاقه اي نداشته در موردش بخواند و حالا هم ميگويد شايد يك زماني در موردش بخواند. اما براي من به عنوان يك بچه يازده ساله شنيدن و لمس و تجربه وقايع كردستان علاقه و انتخاب نبود، واقعيت و جزئي جدايي ناپذير از زندگي روزمره ام بود. هر لحظه نگران بودم كه كدام عضو خانواده ام و يا خواهر و برادر و يا پدر و مادر كدام يك از دوستانم قرار است به حكم خلخالي تبعيد و يا اعدام بشوند. من انتخابي نداشتم وقتي اشكها و زجه هاي مادر نسرين و شهلا كعبي را در مراسم بعد از اعدامشان ديدم. در آن زمان مغز جوانم نميتوانست هضم كند كه چرا شهلا و نسرين كه دو انسان مهربان و نازنين و دو پرستاري بودند كه در بدترين شرايط وظيفه پرستاري خودشون را انجام دادند بايد اعدام شوند. من انتخابي نداشتم وقتي هر بار با شنيدن اسم پدر جلاد اين خانم نفس در سينه ام حبس ميشد ، چرا كه هر بار شنيدن اسمش به اين معني بود كه آدمهايي را كه دوست داشتم تبعيد و يا اعدام ميشدند. پدر جنايتكار ايشان بسياري از لحظات شاد كودكانه را از من و هزاران كودك ديگر گرفت و خون و اعدام و خشونت و ترس را جايگزين آن كرد. فاطمه صادقي ميگويد : ” من دغدغه‌های خودم را دارم. الزامی ندارم چیزی که برای پدر من جالب بوده برای من هم جالب باشد … ” . درست است، ايشان نبايد با پدرش و جناياتي كه كرده تداعي بشود. پدر و مادر انتخابي نيستند و يك بچه كنترلي روي شخصيت و عملكرد پدر و مادرش ندارد. اما اين خانم كه حالا ديگه بچه نيست و حق انتخاب دارد ، ميتواند از پدرش دفاع نكند و خودش را به بيراهه نزند كه اطلاع ندارد پدرش چه جناياتي مرتكب شده و بايد برود در موردش بخواند. جنايات خلخالي در همه جا ثبت شده است. آيا فاطمه صادقي كه اسم خودش را ‘ پژوهشگر علوم سياسي ‘ گذاشته است عكس مشهور اعدام به دستور خلخالي در سنندج را كه در آن برادران ناهيد در حاليكه يكي از آنها زخمي بودند و اعدام شدند را نديده است؟ ايشان لازم نيست برود كردستان تحقيق كند كه پدرش چه جناياتي مرتكب شده، تمام اين اسناد روي اينترنت وجود دارد . ميگويند انسان حس همدردي با همنوعش را دارد ولي به نظر ميايد اين حس همدردي در فاطمه صادقي وجود ندارد. مسئله اينست كه فاطمه صادقي ميخواهد جنايات پدرش را توجيه كند. از نظر من كسي كه جنايتي را توجيه و يا سرپوش ميگذارد در ارتكاب آن جنايت سهيم است.